Larry Purvis was one of several innocent subjects kidnapped and used for experimentation on by the Scientists aboard the USS Auriga. He is rescued by Call during the escape with the hopes of being able to save him. He dies during the escape when the chestburster explodes from his chest. 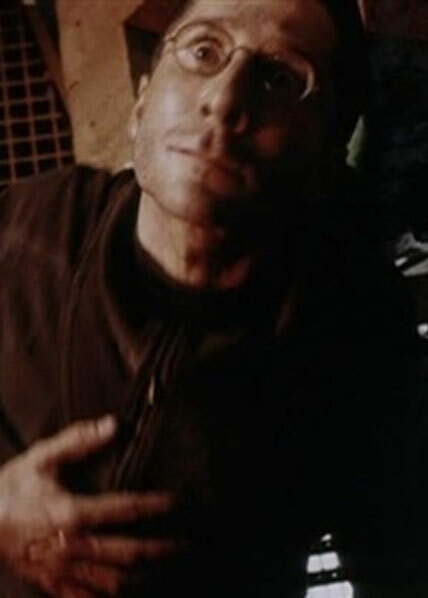 During his final moments he saves the others from Dr. Wren by attacking the doctor and holding the doctor's head to his chest at the moment the chestburster emerges. Because Purvis is impregnated with an embryo, any scenarios utilizing his character should also incorporate the Impregnated Characters Rule. Purvis can optionally be allowed to sacrifice himself upon failing the impregnation roll. He is given the special skill that during his sacrifice, he can choose any character that is adjacent to him and roll a die. On a roll of 1 or 2, he successfully grabs the character and the chestburster kills both characters. This is similar to the Gorman rule in that it serves no purpose other than petty revenge.